With the organic movement there have come many a pleasant delights, one of which is the naturally made candle. 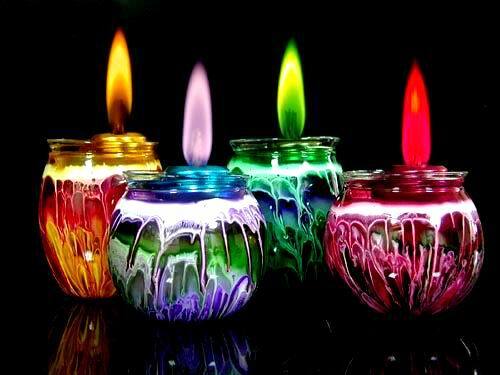 Not a lot of people know that most commercially manufactured candles are made from paraffin (derived from petroleum), synthetic fragrance and chemicals which when burned release unseen toxins into the air. The US Environmental Protection Agency has found a surprisingly high number of carcinogenic volatile organic compounds (VOCs) emitted from burning candles. When buying candles it's best to go for those made from plant or bees wax. Synthetic fragrances can trigger asthma and allergies so either forgo the scent and buy unscented candles or choose one made with essential oils. Where possible avoid cored wicks as these contain a metal often made of lead or cadmium. Lead can affect the nervous system, heart and kidney and has been linked to reproductive problems. Cadmium is carcinogenic and is toxic to internal organs and bones, as well as hormone and immune system disruptions. So if you would like your next relaxing bath to be lit by candlelight, not toxic light, opt for natural candles.